Making a correct diagnosis is essential in order to provide appropriate advice and treatment plans. 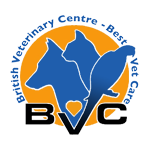 Our veterinary surgeons are highly trained in clinical reasoning and use diagnostic tests and procedures only when necessary. ….aiming for maximum useful information with minimal stress to our patients.